Include car-title loans in bankruptcy? My husband and I want to file bankruptcy, but we want to include two car-title loans. Can we file bankruptcy, eliminate those loans and keep the vehicles? This is a very common question that prospective clients ask me. Back when I started out, I would begin working on the bankruptcy paperwork. The conversation with clients would usually begin with questions about vehicles. In most cases, the client would say he or she has a vehicle and that it was paid in full. I would list the year, make and model of the vehicle and review an online website to see the current fair market value. Then I wouldn’t ask any further questions about the vehicle. Eventually the conversation would turn to the debts. This is when I’d learn that the vehicle was “paid in full,” but that the client had then taken out a loan against the car, or a car-title loan. I’ve learned my lesson and now ask about the vehicle and loans against the vehicle at the very beginning of the conversation. A car-title loan is when you borrow money and in return, you sign over the vehicle to the lender as security for that loan. In layman’s terms, you signed over the pink slip to your car in exchange for some money. Giving the lender your title means that you no longer own the car. 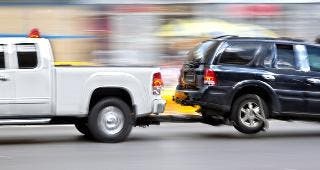 In order to sell the vehicle or transfer it, you would need to get the pink slip back. To do that, you have to pay off the loan. It’s important that you list the title loan because you want it to be clear in your bankruptcy paperwork that your vehicle likely has no equity. You might not be able to protect much, if any, of the vehicle equity when filing bankruptcy. But once you show that the vehicle is worth less than or equal to what you owe on it, you likely will be able to keep the vehicle as long as you continue to pay the loan for the vehicle after your bankruptcy case closes. Hopefully, the payment is affordable and you don’t risk losing the vehicle. Title lenders are usually very aggressive to repossess a vehicle upon default, so make sure to continue making that payment before, during and after your bankruptcy case closes.